Some people picture portable shelters as something that will bend, break or will blow away in the wind. 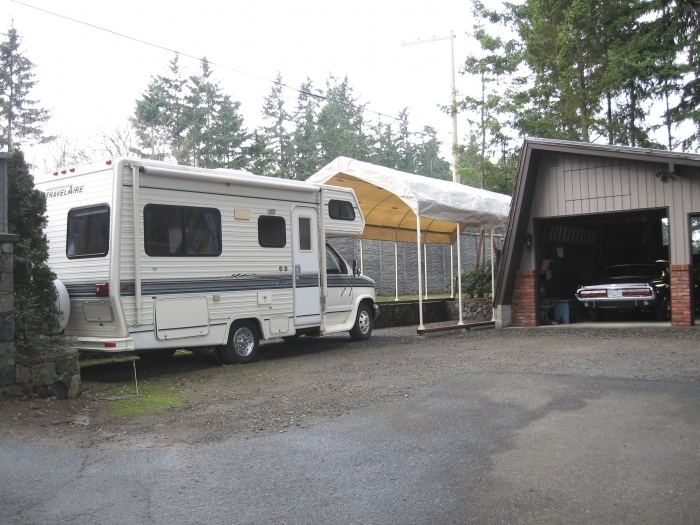 This shelter, by Shelter Logic, destroys that myth. 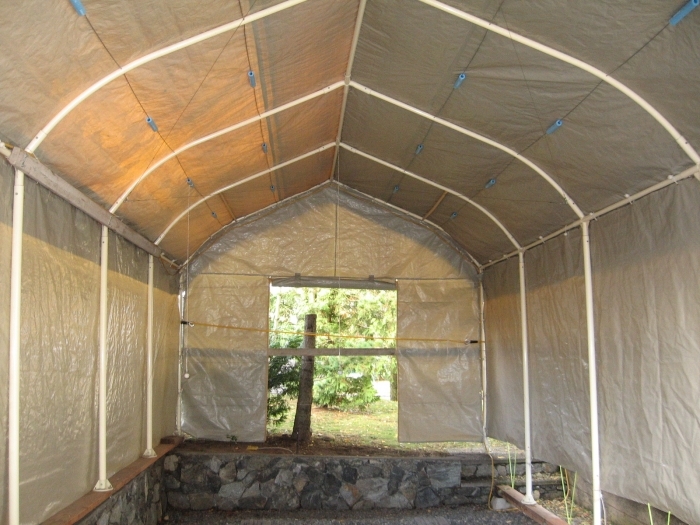 This shelter has a bullet proof frame that is made from 1 5/8 inch tubular steel. The steel has a baked on powder coating that will prevent rust, corrosion, peeling and chipping. The cover is heavy duty polyethylene fiber. The fiber is treated for UV rays to prevent damage from the sun. 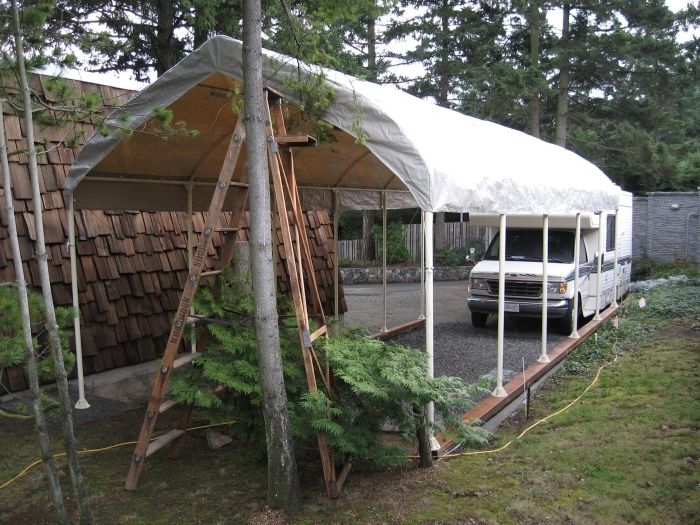 Do you carry any form of replacement roof cover only for a 12' x 28' peak style Portable Shelter? 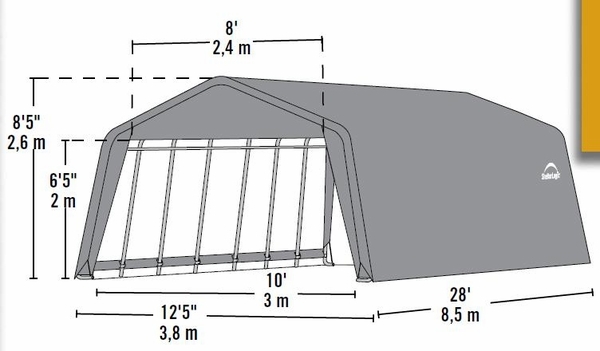 We would need to know the brand and model number of the shelter as the covers are not a universal fit. They vary from manufacturer to manufacturer and even from different models from the same manufacturer.